Cuphead For Switch Announcement Trailer Released! CupHead was originally released for XBox and PC back in 2017 and garnered an 88 Metacritic Score . It's a notoriously hard platformer that's inspired by 1930s cartoons. Its release date for Switch is set for April 18th. 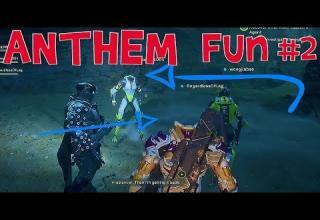 NEXT VIDEO Anthem Funny Fails #2 - Losing their Heads! The New Nintendo Switch Trailer Is Out, And It Looks Amazing. Brand New 'Deadpool 2' Official Trailer Released!